For the love of architecture and history! 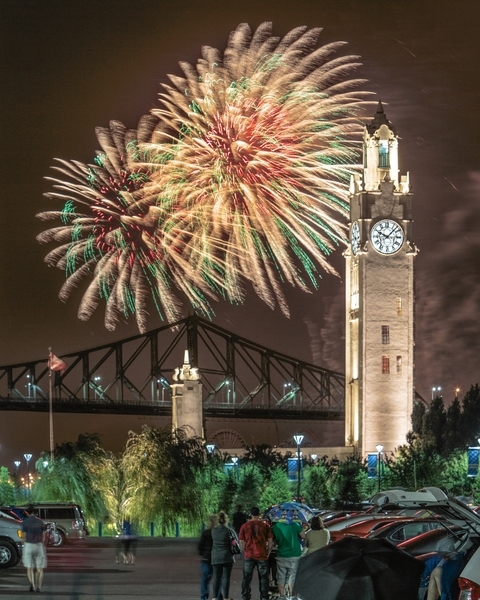 Over the years it has served several roles: to honour the memory of lost sailors, to mark the entrance to the port, to conceal neighbouring storage sheds, and, of course, to indicate the time!The Clock Tower was built between 1919 and 1922 from a design by Montréal-based engineer Paul Leclaire. Forty-five metres high, it marks the entrance to the port and is a memorial to sailors lost at sea in wartime.Its extremely precise clock mechanism was made in England by Gillett and Johnston, and is a replica of Big Ben in London. Like Big Ben, its accuracy is legendary, and sailors would set their own time pieces by it. 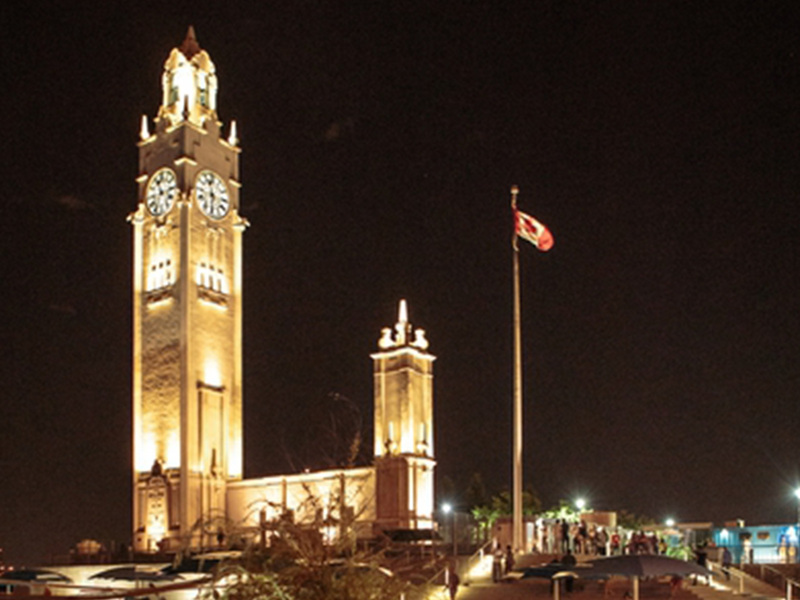 The Clock Tower was the port’s time keeper in an era when wrist watches were not yet common. It is even said that when the clock stopped working, many port employees would report to work late.With its powerful light, the tower also served as a lighthouse to guide incoming ships. 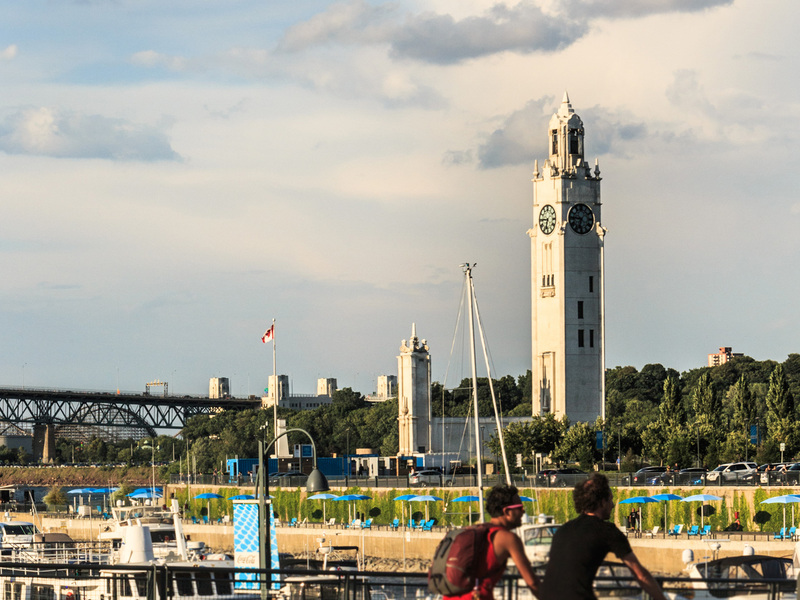 The structure was originally designed to conceal the unsightly sheds that once lined the quays.Classified as a federal heritage building since 1996, the tower provides spectacular views of the St. Lawrence River and the city for those willing to climb its 192 steps to the top.